Rotary Club of Wylde Green - Welcome! 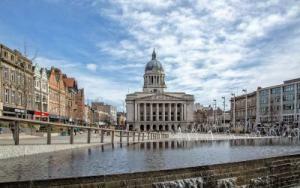 The 2019 Conference will take place in Nottingham. This is a great evening with a serious purpose – raising funds for Holy Trinity Church, Birchfield, the Extra Mile School in Sierra Leone and SIFA Fireside that seeks to improve heath and inclusion for homeless people in Birmingham.